Generally, the provisions of Indian tax laws provide that transfers of immovable property must be at a fair valuation. However, the Income Tax Appellate Tribunal (‘ITAT’), Mumbai Bench, has ruled, in Income-tax Officer v. Shri Prem Rattan Gupta, that the value of TDR and FSI cannot be the subject mattter of section 50C of the Income Tax Act, 1961. The assessee, M. Prem Rattan Gupta, was joint owner of a land originally measuring about 2242 Square meters situated at Thane. In 2005 the co-owners entered into a Development Agreement with the PWD and the Thane Municipal Corporation (‘Acquiring Authorities’), as per which the entire plot was agreed to be sold for development. However, the assessee submitted that the actual land acquired amounted to 860 Sq. m. for the Eastern Express Highway and 950 sq. meters were acquired for 15 meter wide Service road and 300 sq. meters were acquired for old Agra Road, hence, total acquisition of the land worked out to 2110 sq. meters (67 Sq.m. belonging to the assessee which was subsequently transferred and which formed the subject matter of this case). The assessee sold the plot for a total consideration of Rs. 20 lakhs and since the assessee had 50% share in the plot, he declared Rs. 10 lakhs as the sale consideration. Since the plot had development rights attached to it, the A.O. applied s. 50C and adopted the sale consideration of Rs. 1,19,72,064/-, since that was the valuation adopted for the purpose of payment of the stamp duty when the Development Agreement was registered. The assesse preferred an appeal and the Commissioner of Income-tax (Appeals), followed the ITAT decision in Shakti Insulated Wires (P) Ltd. v. ITO, and ruled in favour of the assessee. He further observed that the assessee has transferred land admeasuring 134 meters only and he held that prorated consideration would be Rs. 7,14,910 for 134 Sq.m, and not Rs. 20 lakhs. The main issues in the case were whether the sale of the plot of the land attract the provision of sec.50C of the Act for the purpose of computing the capital gain u/s.48 and whether the value of TDR can be the subject matter of section 50C . The ITAT set aside the ruling of the CIT(A) and the assessing officer was directed to refer the matter appropriately to the District Valuation Officer, since there was no reference to the Valuation Officer as provided for by section 50C in cases where there is a dispute regarding the appropriate value. The ITAT also held that in arriving at a valuation, the Valuating Officer should consider acquisitions already made by the Acquiring Authorities and should take into account only the net value of land transferred. The ITAT further directed that the District Valuation Officer should exclude value of FSI and TDR for the purpose of section 50C of the Act as the section uses the words ‘land or building’ and not ‘immovable property’ which have a wider scope. 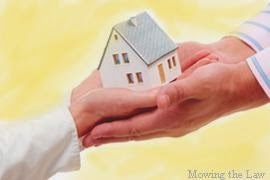 Also read article on Introduction to Property Tax in India.